Based on Susanna Clarke’s novel, Strange and Norrell begins in England, 1806 – as the Napoleonic wars rage on, magic, which was widely practiced three hundred years ago, has fallen into disuse. Enter two magicians who will bring magic back to England. The thing is, they can’t always get on. Norrell (Eddie Marsan) is a scholar, believing no spell should be performed until dozens of related books have been thoroughly studied, while his pupil Strange (Bertie Carvel) just wants to skip straight to the cool stuff. It’s high school chemistry all over again. A wide range of fascinating characters surround these two; there’s the politician’s wife who goes insane after returning from the dead, the enslaved butler told he’s destined for greatness, and to really muck things up, there’s a fairy on the loose, with a ludicrously large quiff that makes it clear his intentions can’t be good. It’s an expansive tale which has clearly had good money thrown at it. The first episode’s set piece in the beautiful York Minster sets the tone, but it’s the later Battle of Waterloo sequence that really sticks in the mind. 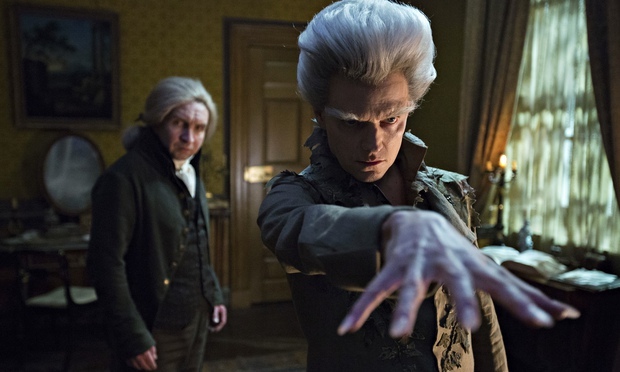 Jonathan Strange and Mr Norrell is a great achievement for the BBC – a gripping, stylish miniseries, full of weird and wonderful characters, that’s worthy of being ranked alongside Game of Thrones as the best genre television of the year. Now it’s out on DVD and Blu-ray, shut down Netflix for a few hours and give British fantasy the love it deserves. 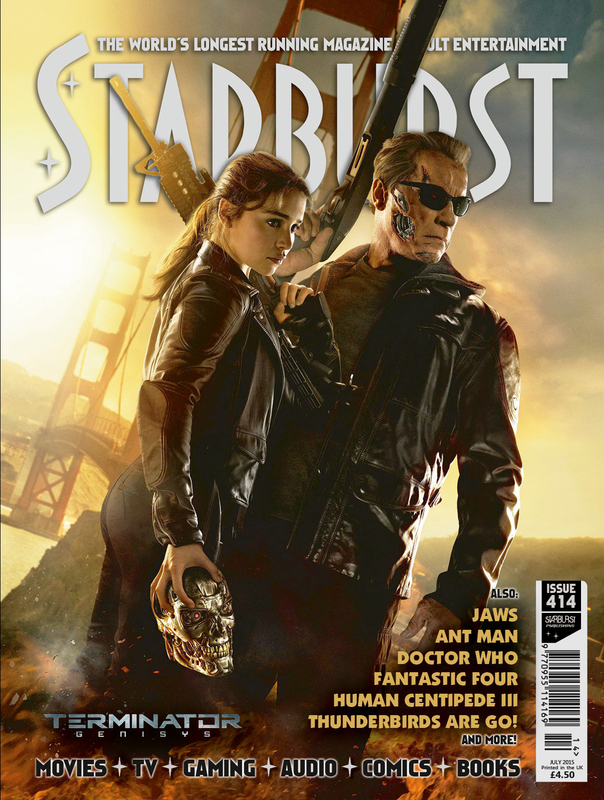 Starburst 414 - Out Now! 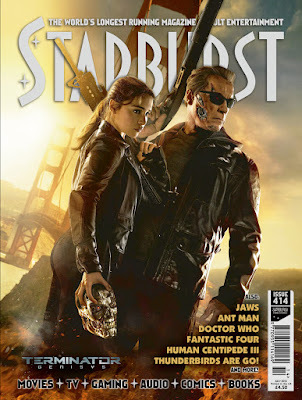 Issue 414 of Starburst Magazine is out now from all good retailers, as long as they're WH Smiths or this website (or some other specialist nerdy stores). Lots of Terminator coverage (guess which lines from the original film we used as headline puns...) plus my review of The Scientific Secrets of Doctor Who is reprinted. Nice cover, too. The covers are getting better, I must say. Arnie, Daenerys, and the obligatory silver skull look so shiny. Here's a piece I've written on The General for The Big Picture. A masterpiece in both daring comic performance and narrative simplicity. 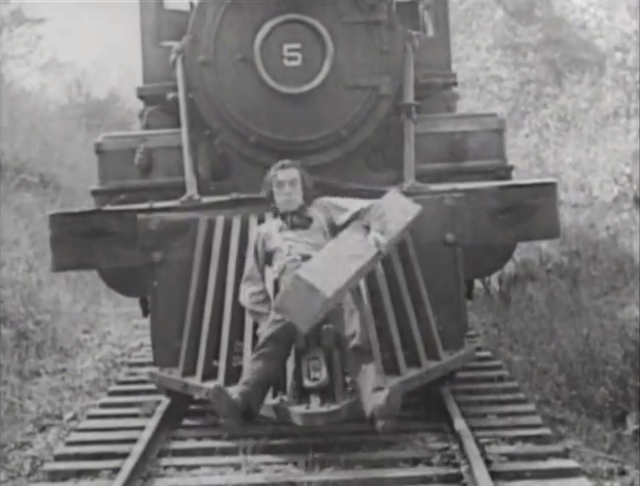 We've all recently praised Mad Max: Fury Road for playing out a simple chase movie concept to maximum effect, and The General is the silent comedy equivalent. A point I didn't make on that Big Picture piece: it's a bit disconcerting how we're on the side of the South in the American Civil War, when any film today wouldn't dare to portray them as anything other than the slavery-supporting baddies. Still, the politics is hardly relevant; it's all about that train. Read the full version of this review on Starburst. 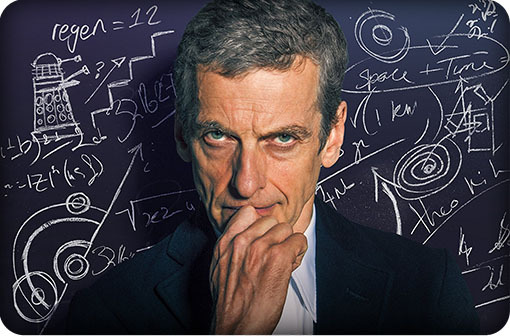 Doctor Who and science have had a very on-and-off relationship, with uncountable moments of plausibility being erased from existence in favour of dramatic licence. But back in 1963, the show began with a very educational remit – to balance historical stories with future-set stories, so that children and their parents would learn about different historical eras and scientific ideas, while being entertained by the adventures of the Doctor and his companions – and it’s that ideal of educational entertainment that Simon Guerrier and Dr. Marek Kukula are returning the franchise to. The Scientific Secrets of Doctor Who is a sizeable book divided into three sections – ‘Space’, ‘Time’, and ‘Humanity’ – each further divided into five chapters. Each chapter begins with a short Doctor Who story, followed by an explanation of a related scientific concept, drawing links to the Doctor’s adventures past and present in order to assist their explanations. This is a difficult kind of book to get right – too wordy and you become inaccessible, too simplified and you become patronising. And yet Guerrier and Kukula hit the perfect balance, clearly and dynamically covering a wide range of subjects. Importantly, it’s evident the writers really know both their science and their Doctor Who; the quotes and references chosen genuinely do support the science and rarely feel crowbarred in. You’ll learn how we can potentially travel in time, just how plausible Omega’s anti-matter universe is, and all about creatures with regenerative abilities similar to a Time Lord’s. Whether you’ve been a Whovian for decades or Mr. Capaldi’s your first Doctor, if you’ve ever watched an episode of Doctor Who and wondered “could that really happen?”, Guerrier and Kukula probably answer your question – and a whole lot more you never thought of asking.